Rotherham have broken their transfer record to sign Oldham striker Jonson Clarke-Harris and have also added Luciano Becchio on loan from Norwich. Argentine forward Becchio, 30, joins the Millers until 1 January. 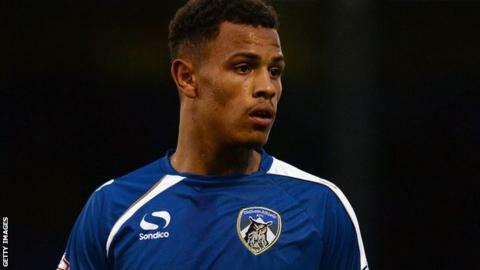 Clarke-Harris, 20, scored nine goals in 55 games for the Latics and was a long-term transfer target of Rotherham manager Steve Evans. "Last season he produced a number of stunning performances," Evans told the club website. "It is no surprise that he has today been subject to a deadline day move to play Championship football. I am delighted Rotherham United has won the race for his signature." Former Leeds striker Becchio has not made a league appearance for the Canaries yet this season. "I will wake up tomorrow morning and still ask myself just how we have beaten the deadline to secure this player to be a Miller," added Evans. "This is a lad who at Championship level has a CV that says simply 'I score goals'."